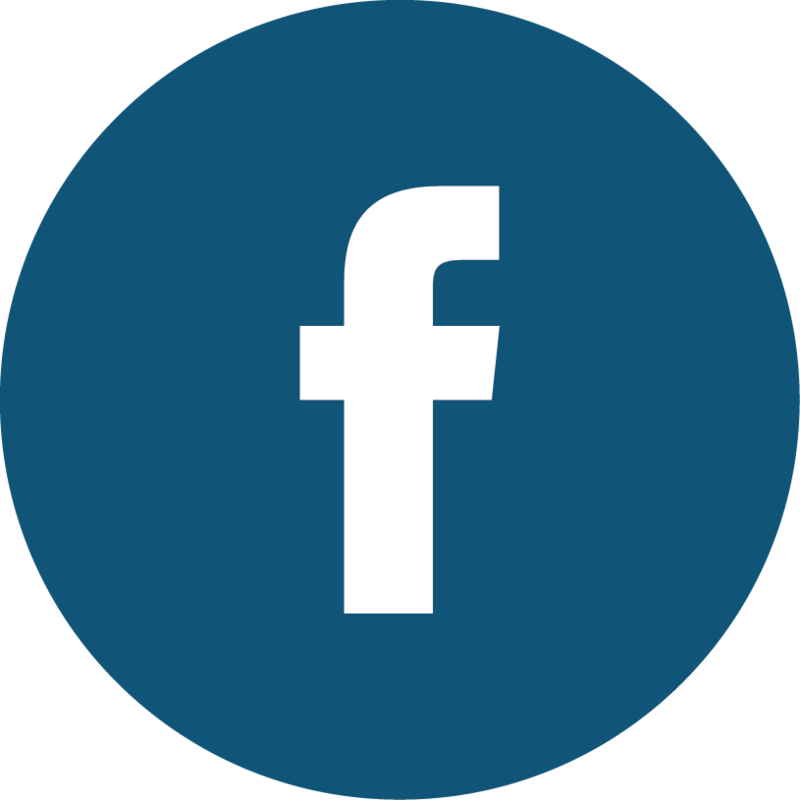 This year, IWRA had a strong presence at KIWW 2018 with seven Board members and four Executive Office Staff in attendance, including IWRA’s President, Patrick Lavarde, and its Executive Director, Callum Clench. 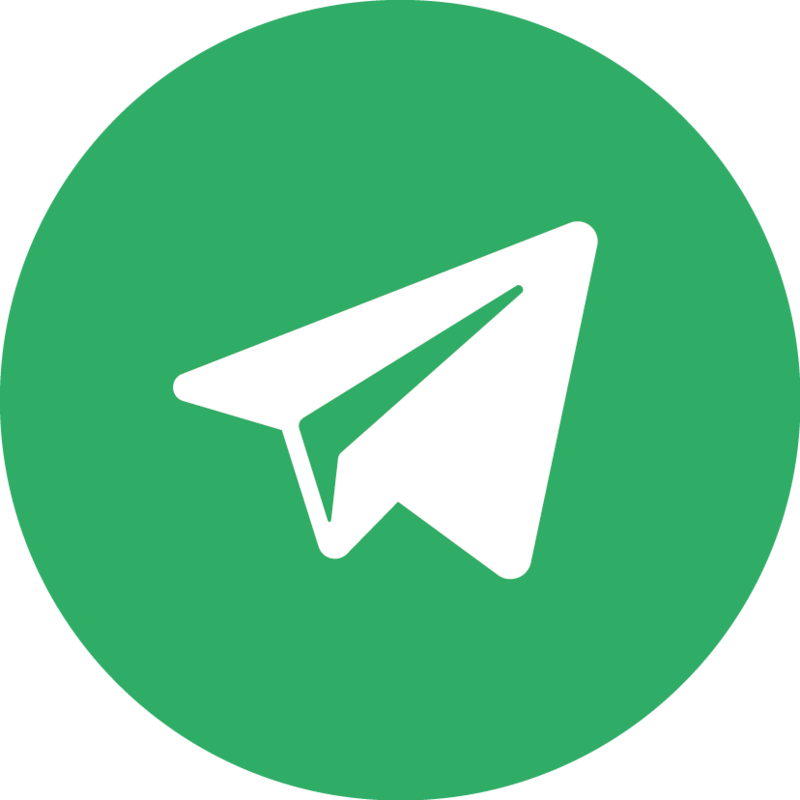 Both IWRA representatives and staff participated at KIWW events, as well as many preparatory meetings for the next XVII World Water Congress, to take place also at EXCO in Daegu from May 11th to 15th May, 2020. 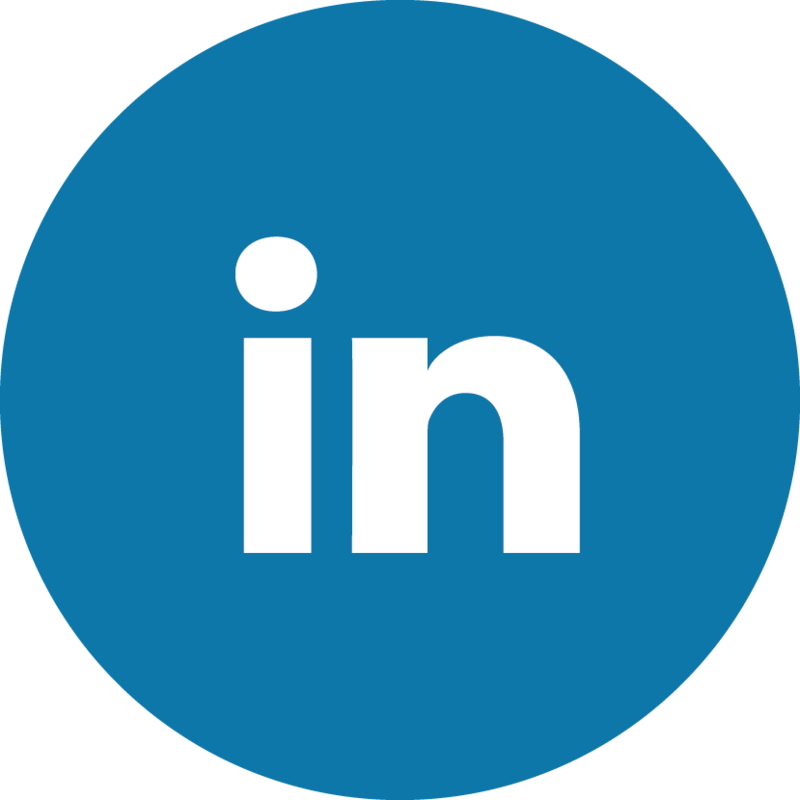 The XVII Congress is jointly organised with Korean co-hosts: the Ministry of Environment (MOE), the Korea Water Resources Association (KWRA), Daegu Metropolitan City, and the Korea Water Resources Corporation (K-water). The IWRA delegation was actively involved in many aspects of KIWW 2018, as displayed in the photo gallery below. 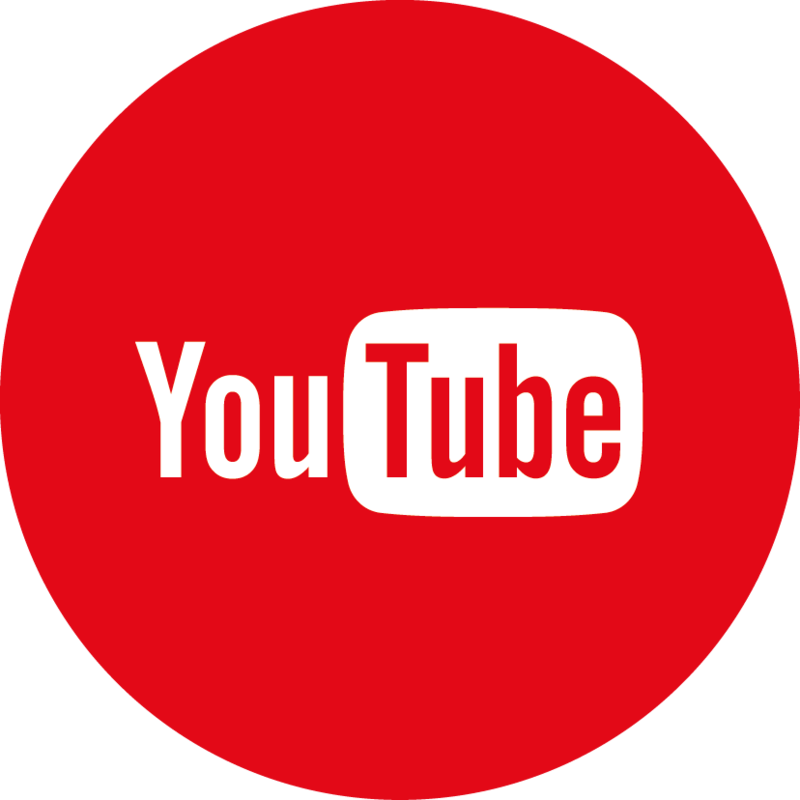 IWRA Executive Director, Callum Clench, sat on the panel discussion in the Opening Ceremony to outline the week’s content of activities, and was a judge for the World Water Challenge. Keynote speeches were given by IWRA representatives throughout the week, including Gabriel Eckstein (former ISC Chair, XVI World Water Congress) who was invited by the Ministry of Foreign Affairs to speak at the Korea International Water Industry Conference held in Seoul on September 10th, immediately prior to KIWW, and also by the Ministry of Environment to speak at the Integrated Water Resources Management Policy Forum held during KIWW in Daegu. 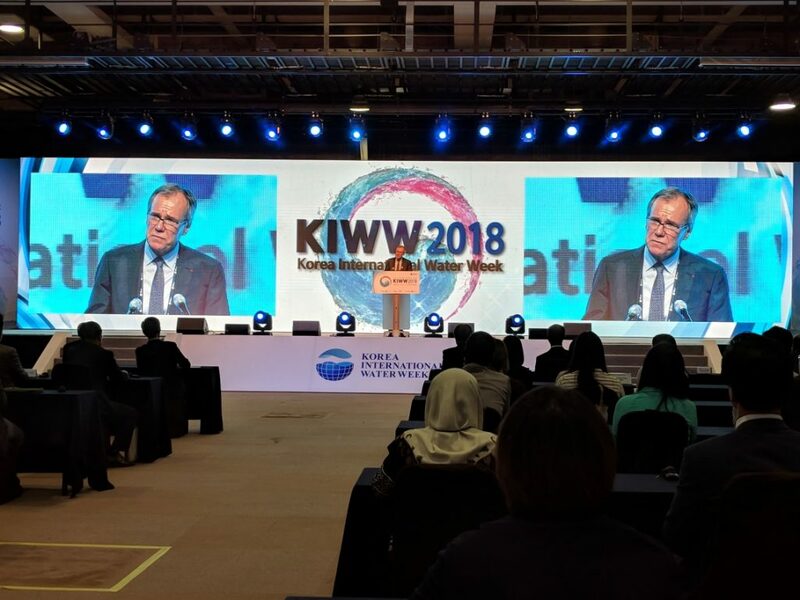 Furthermore, IWRA President Patrick Lavarde gave a key-note address to the World Water Cities Forum and gave an address at the KIWW closing ceremony. 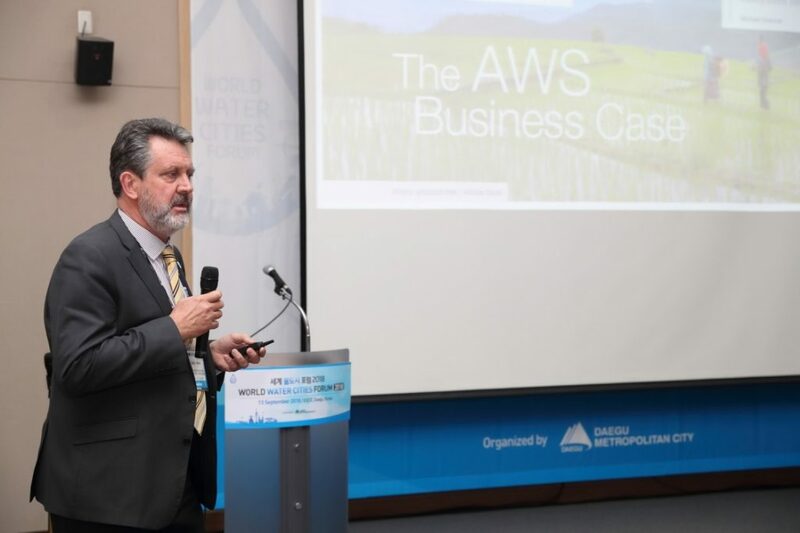 Board member and current ISC Chair Gary Jones gave presentations at the World Water Cities Forum and Water Industry Forum. And finally, Water International Editor-in-Chief, James Nickum, and Chair of the IWRA Scientific, Technical & Publications Committee, Henning Bjornlund, also spoke in IWRA-led sessions to promote and further our work on Smart Water Management (organised by Stephanie Kuisma) and Water Quality (organised by Heather Bond). 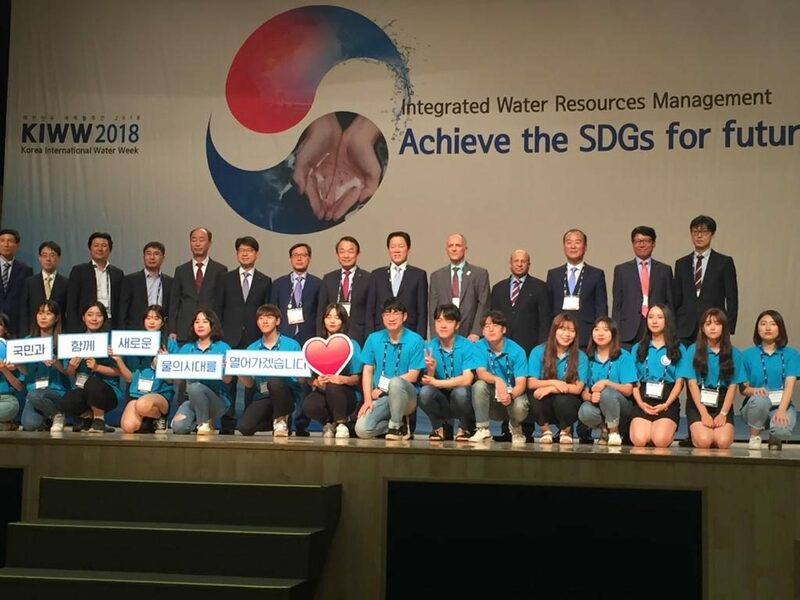 IWRA would like to greatly thank the hosts of KIWW 2018 and the XVII World Water Congress co-hosts (MOE, KWRA, Daegu Metropolitan City and K-water) for their warm hospitality, and for conducting a very successful and enjoyable event. 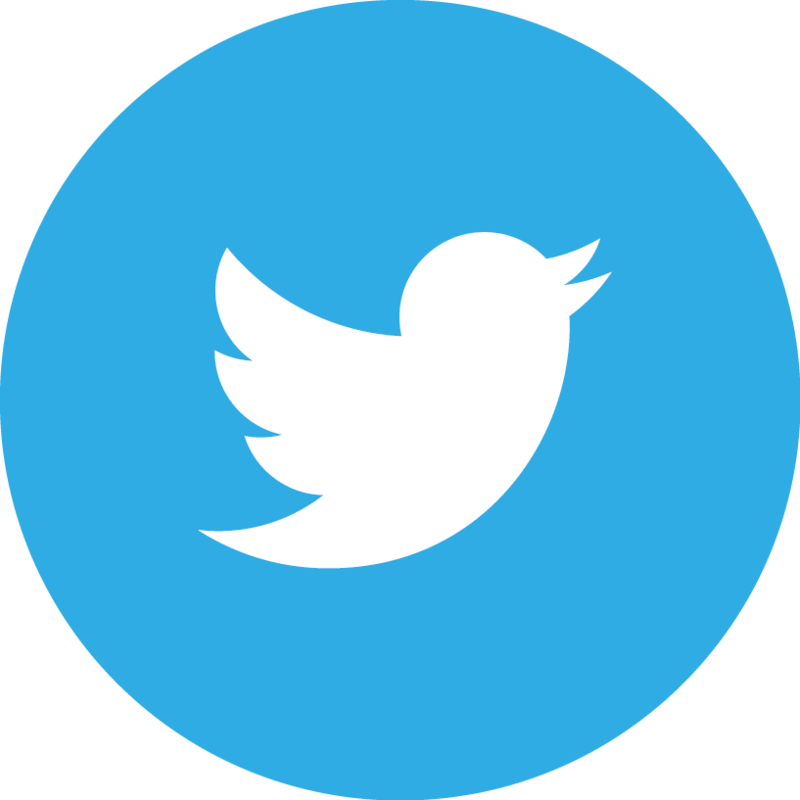 We look forward to KIWW 2019 and the XVII World Water Congress in 2020 in Daegu. 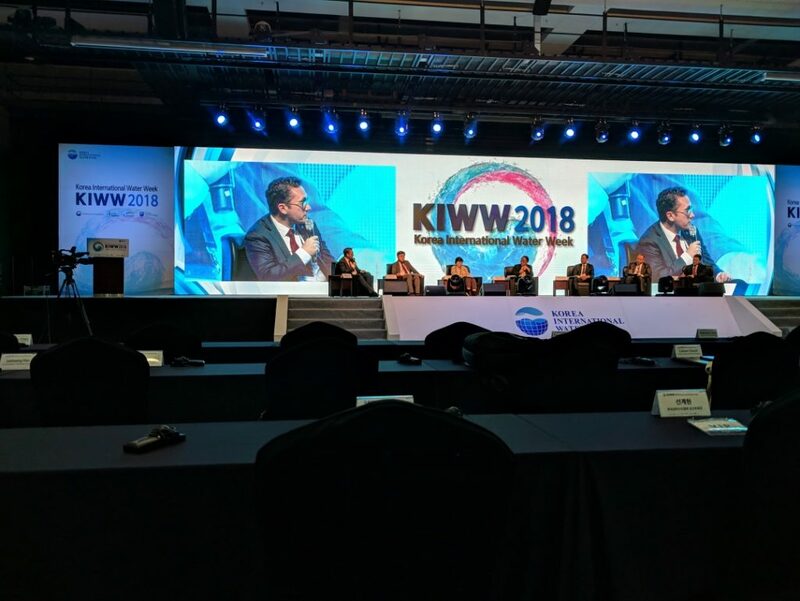 IWRA Executive Director, Callum Clench, speaking on the content of KIWW 2018 in a panel discussion of the opening ceremony. Past ISC Chair, Gabriel Eckstein, keynote speaker of the Integrated Water Resources Management Policy Forum. 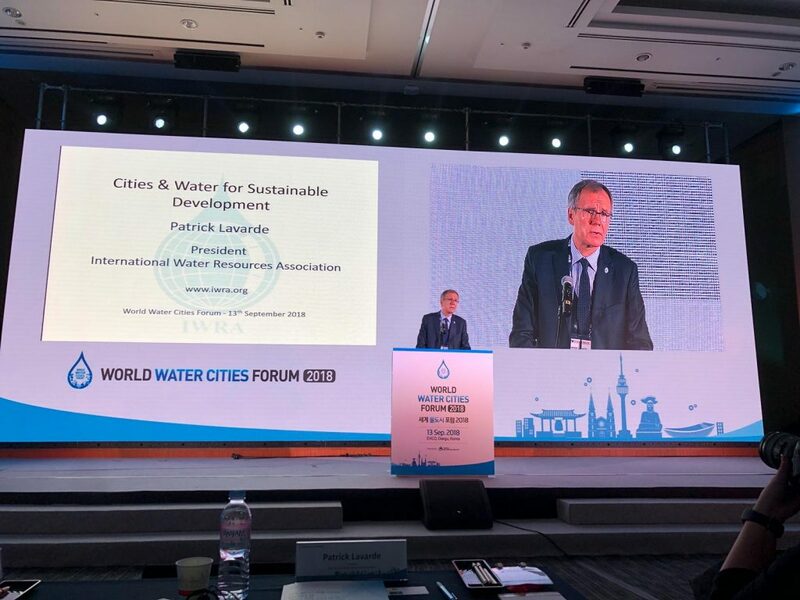 IWRA President, Patrick Lavarde, giving the keynote speech at the World Water Cities Forum. Patrick Lavarde, Callum Clench and XVII World Water Congress ISC Chair, Gary Jones, posing with the other high level participants of the World Water Cities Forum, including the Mayor of Daegu, Kwon Young-jin. The ISC Chair of the XVII World Water Congress, Gary Jones, presenting at the World Water Cities Forum. IWRA President, Patrick Lavarde, providing concluding remarks on the week’s events during the closing ceremony. 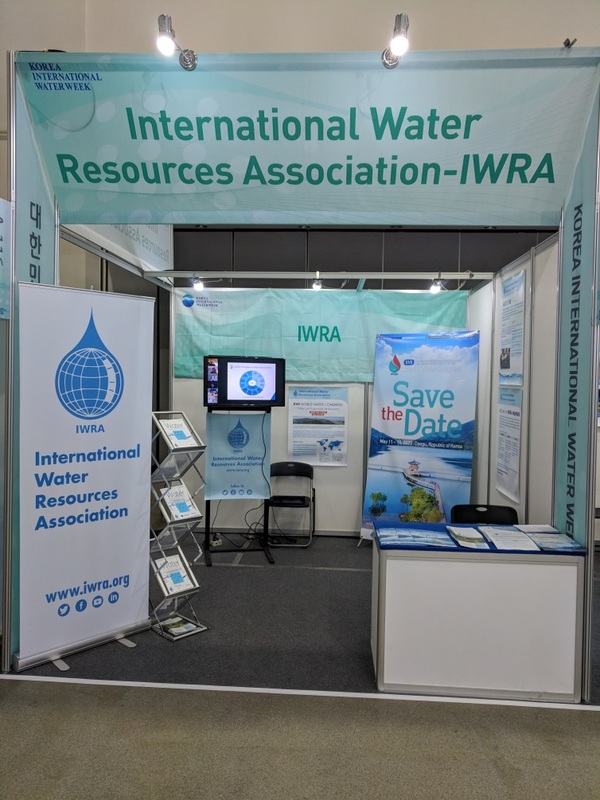 The IWRA stand in the exhibition area of KIWW. 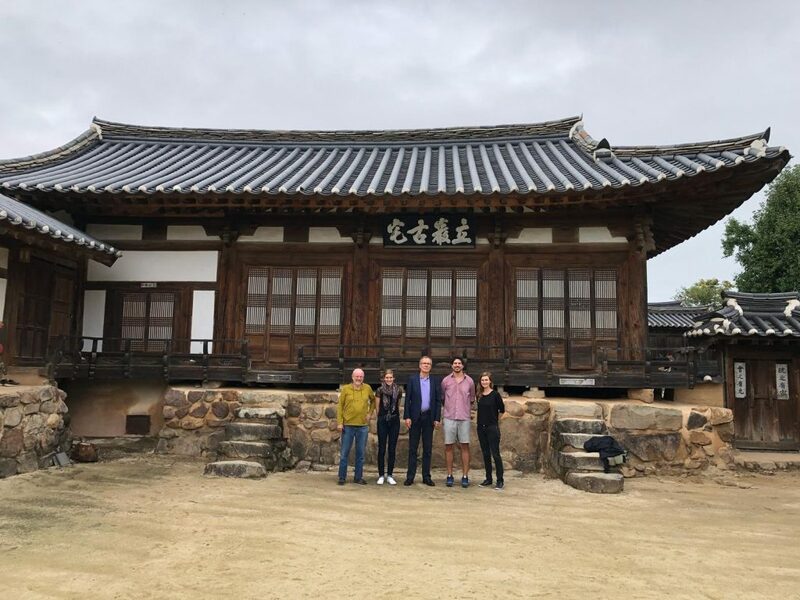 Some of the IWRA delegation visited Andong Hahoe Folk Village following KIWW. From left to right: Henning Bjornlund, Heather Bond, Patrick Lavarde, Ignacio Deregibus, and Stephanie Kuisma.